Who doesn’t want to go on a winning streak? It’s better than a holiday in Tahiti if you ask me. Walk in a pauper walk out a millionaire. Who wouldn’t want to be in that boat? Whether it boils down to being in the right place at the right time, skills or just blind, dumb luck, some people have won, big consistently. Whether online or at a classic brick and mortar casino, the thrill of winning is the reason people play. 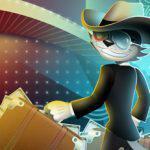 From slots to roulette, poker to blackjack, whatever your preference of casino game the objective is the same: to win. 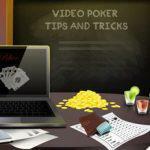 Beating the dealer, rolling a double, hitting a jackpot, cashing in on a bluff, the list goes on… and we all know why. That special feeling when the dice roll in your favor or that last card turns up an ace; there’s nothing quite like it is there? 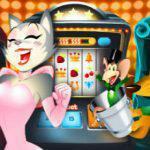 Find your winning streak at CoolCat Online Casino today! And though we may have all experienced the magic at one point or another, it seems that every so often the gods of fortune choose to smile down upon an exceptionally lucky few. Incredibly, some people have won more than once, twice or even a handful of times, in what is proverbially known as the winning streak. They come in all shapes and forms, from sports gambling rolls to roulette spins and some are so jaw-dropping that they end up in the history books. Don’t believe us? 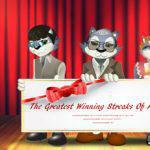 We’ve compiled a list of what we believe are some of the greatest winning streaks of all time. Though one could include some very impressive sports gambling winning streaks in our list, we’ve decided to stick to our favorite casino related winning streaks for those very few individuals who’ve had an extended dance with lady luck. For those new to poker or gambling in general, the name Archie Karas might not mean anything, but many who are familiar with the name could arguably call him the greatest gambler of all time. Known for being a skilled poker player, pool shark and all-around better, Karas became synonymous with the term high roller in the early 1990s after an incredible almost three year-long winning streak in Las Vegas. From 1992 to 1995 Karas was able to turn just $50 into a mind-blowing $40 million, thus going down in legend as having the greatest winning streak in casino gambling history. It all started in December 1992, after losing his entire bankroll, Karas drove to Vegas with only $50 in his wallet, literally all the money he had. 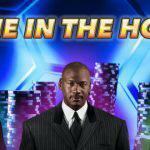 Upon arriving at The Mirage Casino, Karas noticed an old poker buddy of his and talked him into a $10,000 loan. Upon receiving payment, Karas, a phenomenally skilled poker player, was quickly able to turn the loan into $30,000 by playing $400 limit Razz (a form of stud poker). A now confident Karas gave back double the original loan to his now happy friend, and proceeded to hit the pool tables with the remainder. Equally skilled in playing pool as he was at poker, Karas decided to go to a bar on the Tropicana in search of wealthy players willing to play him for high stakes bets. It didn’t take long until he was already pocketing hundreds of thousands of dollars playing 9-ball pool at $5,000 a game from some of the best players. Few had seen someone like Archie before, willing to play for such ridiculously high stakes and almost never losing. Over time he ended up with $1,200,000 in cash, which he then managed to double to $3,000,000 simply by betting huge amounts of his winnings each time he played! Winning streak lesson five – When on a winning streak, double up! Now with nearly $4 million, over the course of a few months Karas gambled his entire bankroll up to a staggering $7 million. You can imagine by now he was beginning to earn a hell of a reputation. Fewer and fewer players dared to challenge him anymore in pool, so he switched back to poker. And eventually ended up at Binion’s Horseshoe gambling hall in Las Vegas at a high stakes poker table. With five of his $7 million won in front of him, he patiently waited for any players willing to play him for such incredibly high stakes. Some dared to try. Stu Ungar, a three-time World Series of Poker champion widely regarded as the greatest Texas no limit hold ’em poker player of all time, accepted his challenge. Karas beat him. The next player was Chip Reese, another phenomenal cash game player. According to Reese, Karas beat him for more money than anyone else previous, or since, and it wouldn’t stop there. Karas continued putting it all on the line playing poker and craps, and after a six-month-long winning streak he had amassed more than $17 million! He soon got so hot that Karas was unable to find people willing to play him in poker, so he switched to dice, playing at $100,000 per roll. Dice quickly became Karas’ game of choice, as he realized that he could win at a rate much faster than he did playing poker. In one instance, Karas won $3 million on a single game of dice, which would have taken him weeks to accomplish playing poker. He simply couldn’t stop. There were some issues however, considering that most of his winnings were paid in cash. Transporting money became a serious problem for Karas. With millions of dollars sitting in his car each day, he was forced to carry a gun for people looking to “win” the easy way; even needing security escorts to and from the casinos he frequented. The grand total at the end of Karas’ historic streak? Over $40 million. Not a bad return at all, but as fate would have it his luck would soon run out. With great risks come even greater losses, and Karas eventually lost nearly all of his winnings the following year. Craps is one of the most popular casino games in the world. It comes in a variety of table sizes each with slightly different rules, but it is well known that even novice players can fair well because craps is a game of chance rather than skill, with even better odds of winning than roulette. If a player is lucky that is. The objective is to bet on rolls of the dice to designated by a single shooter, with players choosing to either bet for or against the person rolling until that individual rolls any numbers that add to seven, thus losing their turn. This is called “sevening out”. And one might be curious to know what the record is for the most consecutive rolls at a casino craps table without hitting the number seven. We have the answer. Patricia Demauro, a grandmother from New Jersey, lasted an unfathomable four hours and 18 minutes at a craps table in Atlantic City, and broke the world record for the most successive dice rolls at an official craps game before sevening out. The average number of times a player rolls before sevening out? Eight. How many times did Ms. Demauro roll before hitting seven? 154. That’s right. One hundred fifty-four consecutive rolls. Experts agree that the odds of that happening is roughly 1 in 1.56 trillion. Statistically speaking an individual would be much more likely to be struck lightning, hit with an errant ball at a baseball game or win the jackpot on the lottery. That’s some luck. So, how did it happen? On May 23, 2009, Demauro and a friend decided to indulge in a bit of gambling at Atlantic City’s Borgata Hotel Casino. Demauro, a casual casino-goer and near total beginner to the game of craps (having only played once in her life before) decided to test her luck as a craps shooter. Her friend, having some experience in craps, kept by her side and showed her how to play. What would result is the most incredible game of craps ever played by a shooter in the history of gaming. Demauro started her round just a little after 8 o’clock in the evening, and bought into the game with a modest $100. With a throw of the dice she was off, nothing could stop her now. As a team, Demauro threw while her friend told her how to bet. With eight being her point number on her first roll, people started betting. Before she could realize it, at lightning speed, she started rolling every combination of numbers between two and twelve imaginable, except of course the number seven. Over the commotion of the people at the table shouting at her what to roll next, Demauto’s turn began attracting a crowd of spectators. Nearby blackjack players wanted to get in on the action, passers-by with drinks in hand gawked, and eventually her run attracted the attention of the casino executives themselves; suspicious of foul pay. Nope. She was just incredibly lucky. The rolls kept going, a hard eight, sixes, fives, over and over again, but not one combination gave her seven. It seemed unreal. The mob of onlookers grew, and cheered her on. Double sixes, hard fours, snake eyes, anything seemed possible. People were in disbelief, because they knew what they were witnessing might never be seen again. Demauro recalls when rolling she tried to take some of the other players’ requests and was even able to fulfill a few. Desperate to know what her secret was, Demauro told a woman next to her at the table, smiling, “I don’t know how to play the game.” Though extremely rare, there have been long craps roll streaks documented in the past, but none as incredible as hers. Finally after an incredible 154 rolls of the dice, Demauro sevened out and collected her winnings. Though she never revealed how much money she won, gambling experts estimate that if she made solid bets, it is likely that it was in the hundreds of thousands; expert bets would have been estimated in the millions. It was definitely her lucky night. 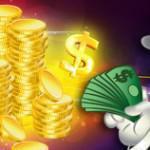 Do you want to try your luck and start winning big today? 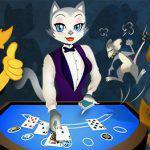 CoolCat Online Casino offers more than 220 casino games you can play for real money. So don’t wait and start playing today!